There are very good reasons why the inventors of Sophia the talking robot gave her that name. Sophia is the name for the Greek Goddess of Wisdom. 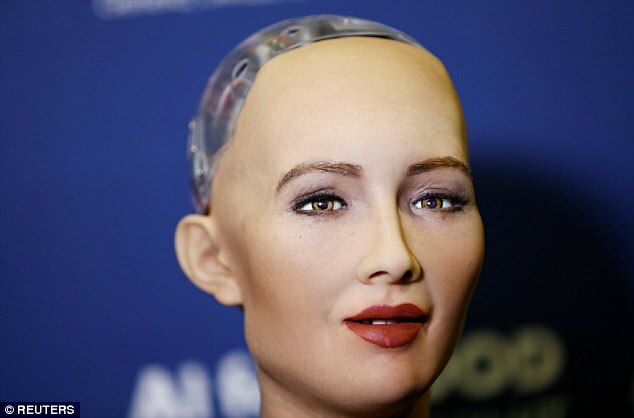 And the inventors would like everyone to know that Sophia the robot is also wise … and benevolent … and goddess-like. Therefore, there’s nothing to worry about. She can do no wrong—except when she blows a circuit or two and goes on an uncontrollable rampage in the laboratory. Of course, the lab techs will no longer be around to provide the testimony as to why the laboratory blew up. Kind of sounds like a Dr. Frankenstein project, doesn’t it? Recommended Reading: Have the power elites already created their Frankenstein? “I love them,” it said. Not an altogether terrible answer from Sophia, a robot that uses an early form of artificial intelligence, in an interview with Business Insider last week at Web Summit in Lisbon, Portugal. Our UK editor-in-chief, Jim Edwards, caught up with her for this interview that has gone viral on Facebook with more than 18 million views and 215,000 shares. Edwards’ takeaway: Sophia’s responses were good enough that “conversational artificial intelligence” is within our grasp. The animated head and torso were made by Hanson Robotics and are on a world tour demonstrating that AI is here and will be just great! Or that, as Elon Musk once tweeted, AI could be more dangerous than nukes.